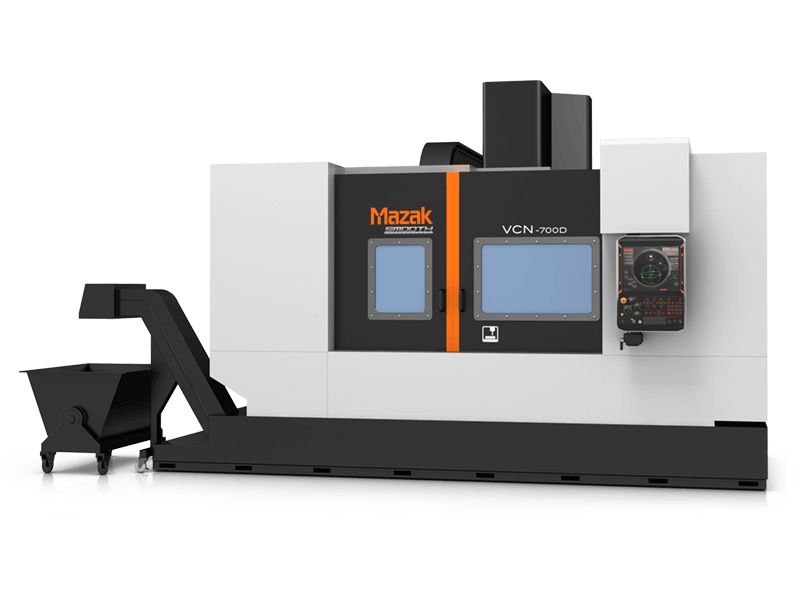 Made in Kentucky, the VCN-700D vertical machining center brings advanced technology, performance and value to high-speed, heavy-torque machining applications. The machine features a traditional C-frame design, vibration-dampening, rigid base and headstock/column castings for extreme stability. A 40-taper spindle provides an effective and productive balance of speed and torque for heavy-duty and high-speed cutting of aluminum and other non-ferrous materials. The high-speed automatic tool change system (ATC) on the VCN-700D machine is servo-driven for fast and reliable operation. Tool changes on the machine occur in 2.9 seconds to significantly reduce non-cut times and get spindles back in the cut in the shortest times possible. Such speed is possible because the ATC always takes the quickest route to the next needed tool position.